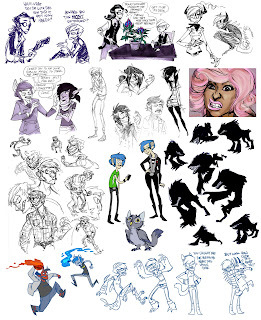 So it's not October anymore but I drew most of these last month so shush. 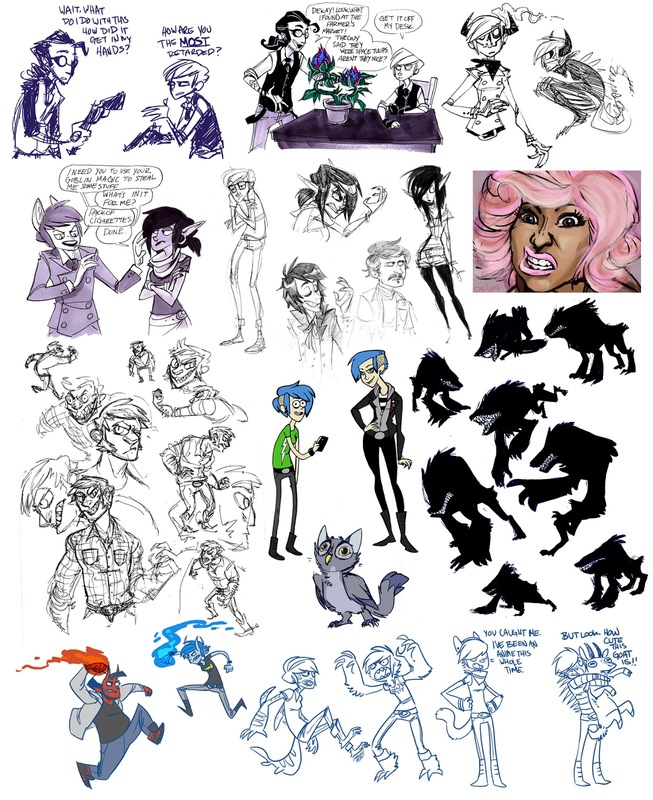 Assorted things from my sketchbooks and tumblr posts including Darkness and Dekay, Nicki Minaj, style imitations of Batman TAS and Gravity Falls and Attack the Block. 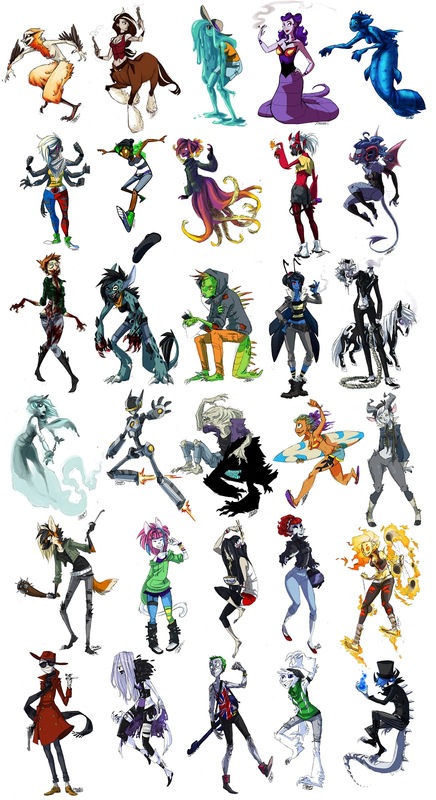 I am a huge fan of both Community and Team Fortress, and they fit together a little too well. 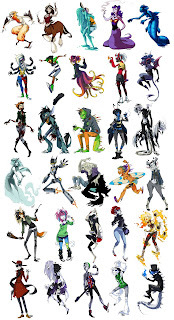 Though the last few months I had been chipping away at the 30 Day Monster Girl Challenge that was going around the internet with some friends and wow was it a lot of fun. 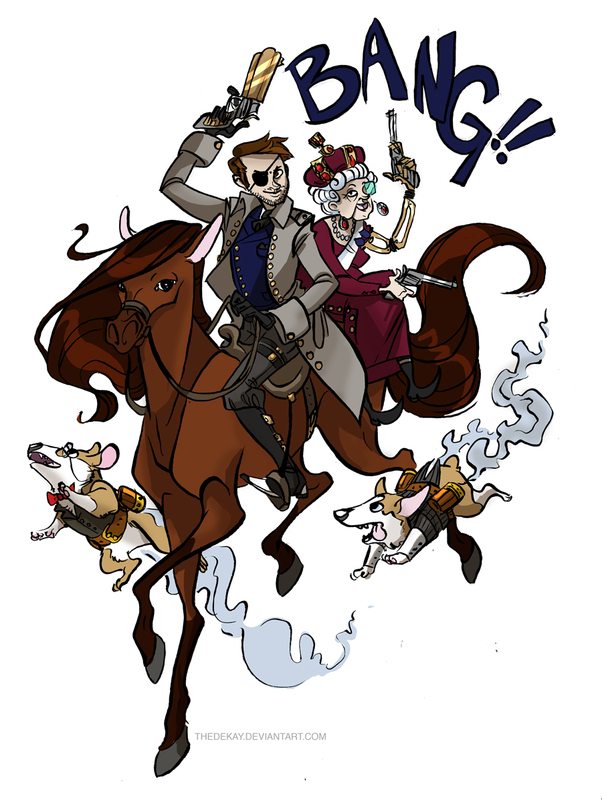 This year I participated in Misha Colins's Greatest International Scavenger Hunt the World Has Ever Seen (GISHWHES for short) and one of the challenges called for a drawing of the scavenger hunt host and the Queen of England in steampunk garb riding a single stallion. I added the Queen's corgi's for good measure. 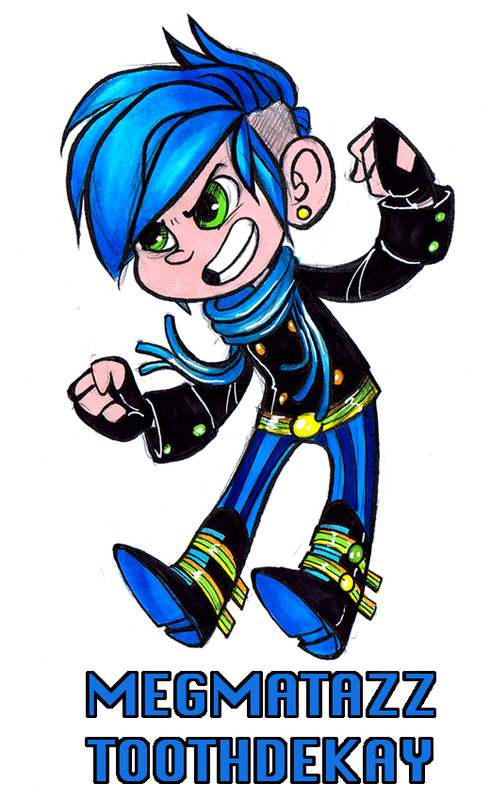 I finally saw Wreck-It Ralph earlier this week and I just HAD to draw myself as a Sugar Rush racer. Good movie, great film.